How cool is this? 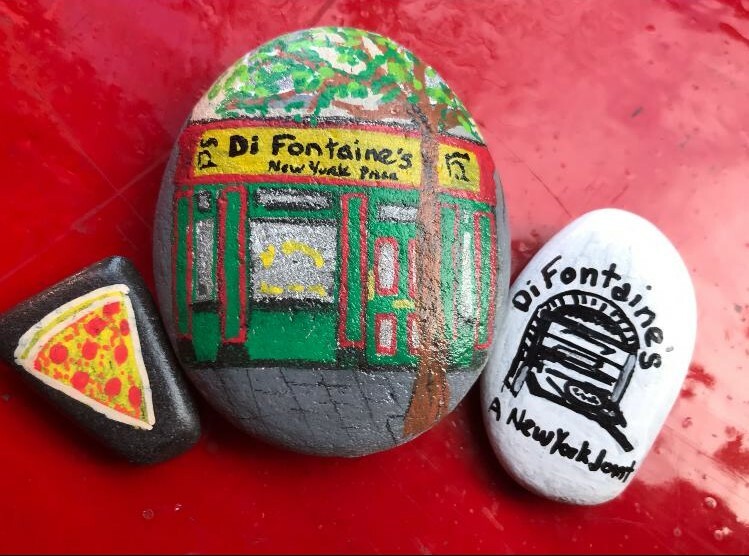 Here at DiFontaine’s we find ourselves appearing on a stone. 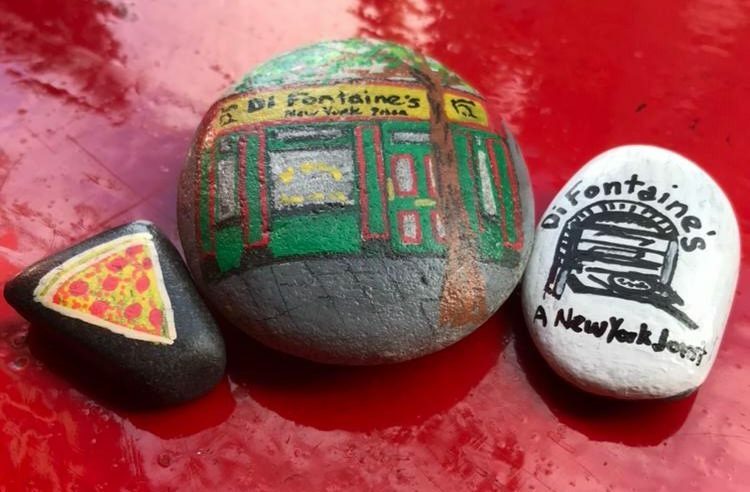 Dublin Stones paints places like pubs, restaurants, historical buildings – you name it – on stones. Tiny stones. Recently we were tagged on Instagram in this little nugget and we thought it was so cool we asked could we buy it. 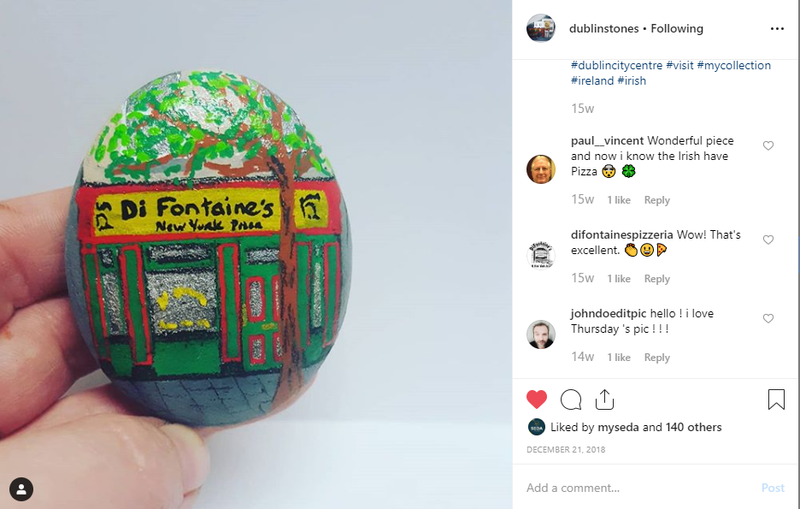 The girl behind Dublin Stones insisted on not taking any payment for this, but not alone that, actually went to the trouble of doing two more stones and posting them all to us! Seriously! ……Above and beyond..
We don’t know about you, but we haven’t seen anything like this before. You’ve gotta check her out over on her Instagram and Facebook pages. And if you are a pub or restaurant reading this, wouldn’t be a really nice thing to have for your own business. Do you like what we did here! Lol!